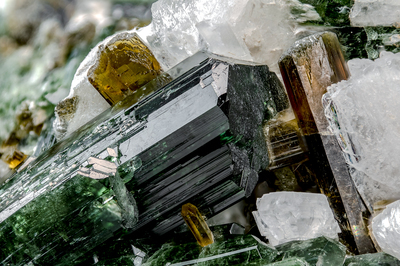 Prismatic diopside crystals, bottle-green, with yellow epidote crystals and white albite crystals. Collection and photo of Gianfranco Ciccolini. Nikon D750, bellows, Luminar 40 mm.